Bookkeeping data. Its the cornerstone of our business. We’ve all had that terrifying, gut-clenching moment when you think you’ve lost this valuable business data and the recent news on the drop-box hack is an example of this. So how are you storing you data? Are you confident it’s not going to get hacked, and is properly backed up? In this blog, we give you simple advise on the best way to make sure your information is secure, including why drop-box isn’t the best option; what options are available to you; and our recommendations. As Astute Administration Services we use a local Gold Coast company that has all the functionality of the above mentioned providers but with stronger security structures! Our bookkeeping data is not stored off shore and it is backed up everyday! The top three that come to mind as a means for storing your bookkeeping data are Shoeboxed, Entry Less and Receipt Bank. The great thing about all three options is that not only do they store your data they also extract the key data from your bills, receipts and invoices quickly, accurately and efficiently and then publishes it directly into your cloud accounting software! As a bookkeeper based on the Gold Coast with many clients all over Australia the use of these add-ons have eliminated the down time of data entry, we no longer have to wait for the postman! 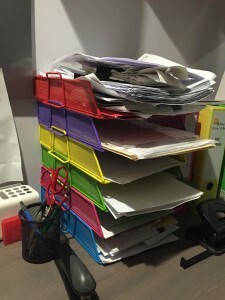 It also allows us to have online, easy access to copies of the receipt and invoices – no longer are we scrolling through filing cabinets or folders! My recommendation for file storage is Receipt Bank it archives your data for seven years with the option to download it if you wish to keep it yourself for longer. 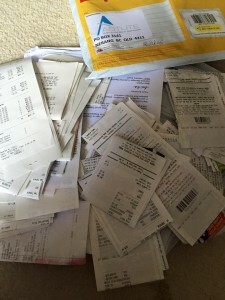 The actual receipts are not sent to your accounting software – they are only linked. Meaning that you will forever need to be joined with Shoeboxed. Another result of the above is that your “link” means that your file is NOT secure – your invoices can contain delicate information to you and your business that does not need to be public. The extraction of data was not accurate, so the time saving ability was lost. Things included due dates, invoices dates and company names needed updating. You would probably have heard of all of these measures before on how to keen your bookkeeping data secure, and probably even done them once upon a time, but do you still do them? Back up your computer to an external hard drive regularly. Yes its that simple and for just $77 it gives you piece of mind – order one now! IMPORTANT NOTE: Check that your back-ups are working! Trust me I learnt this the hard way not so long ago. Never use the same password and username on more than one site – OK! I am so guilty of this one, until I heard about password managers, they keep track of all your passwords and can even generate unique passwords for you. Click here to check them out. Some questions to ask yourself, how do you get your bookkeeping information to your bookkeeper? Where do they store your data? At Astute Administration Services our clients upload their information to us via an upload to our online file sharing secure cloud data storage facility – contact us today! Remember its your information you are sending over you don’t want to be one of those 68 million users that was hacked on drop box back in 2012.